Kookie Richardson (left) and Jack McNutt (right) showed off the birds wing span in front of the Cleaver, Friday morning. 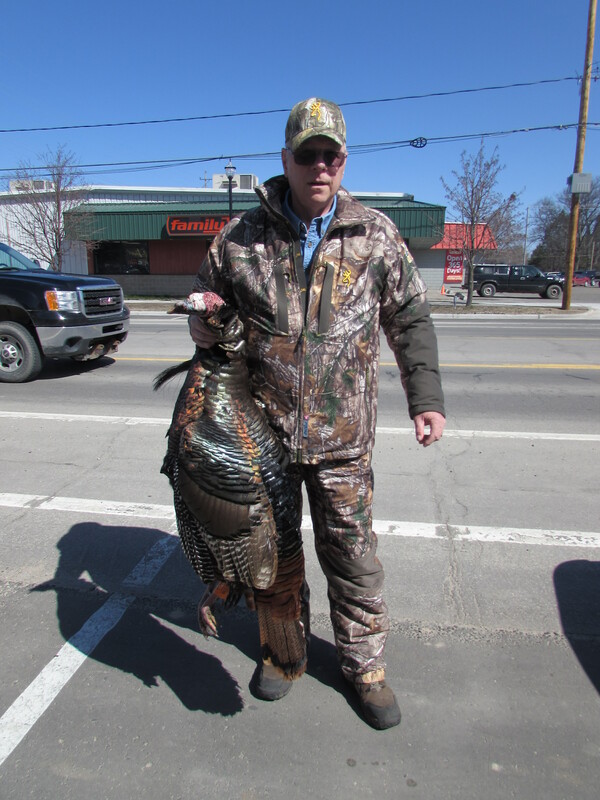 Jack McNutt shot his first turkey in the early morning of Friday, April 24. McNutt was the shooter and Kookie Richardson was the caller. For his first trukey ever, McNutt got a beauty! This big Tom is a good 25 lbs. with a 9 1/2″ beard! 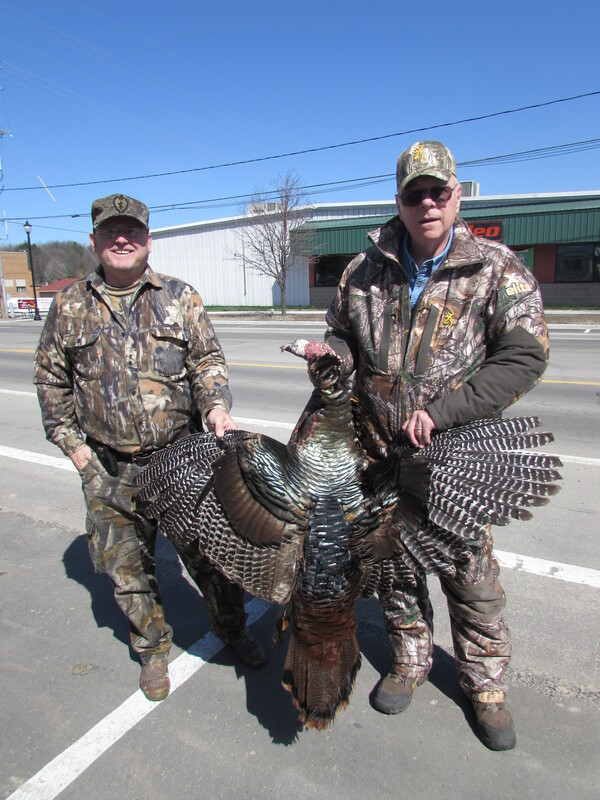 The hunters got the prize in Wexford County and were all smiles about the spoils of the sunny day. Jack with his prize, a 25 lbs. Tom with a 9 1/2″ beard!